There are sometimes recipes that we see, are immediately inspired to make, and miraculously have all the ingredients on hand. This was one of those happy occasions! We didn’t do any baking all week since we are cutting back a little bit before our trip to California that is coming up (more information underneath the pictures)! We felt justified to make these, because we had a bunch of fresh blackberries that were begging to be used and because we were pretty good during the week. Well, we can safely say that these bars are pretty spectacular. 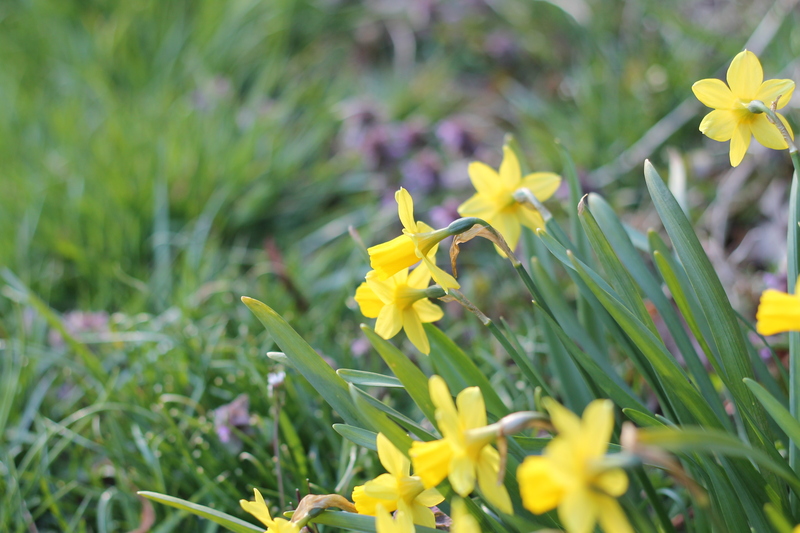 The flavors are fresh and ideal for spring, which finally seems to have arrived! 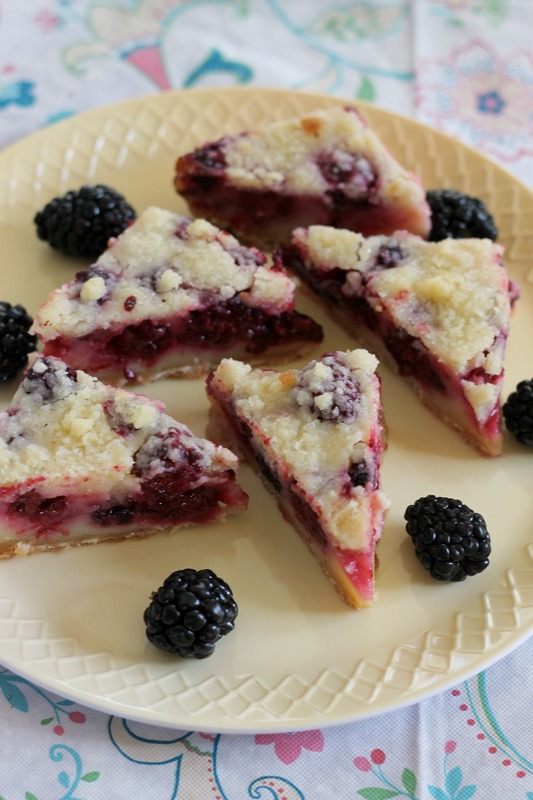 The filling is slightly creamy, the crust is crunchy, and the blackberries pair well with the lemon zest/juice. These would be fantastic with raspberries, blueberries, or strawberries as well. These really don’t resemble or taste like pie, but we didn’t come up with the name, and they are just as delicious as pie anyway! 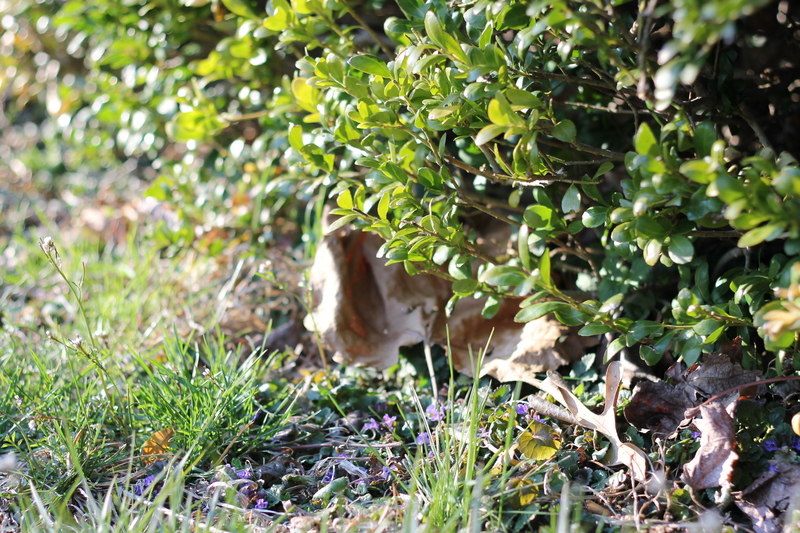 Speaking of spring, here are a couple pictures taken within the past few days by yours truly (Celine). I am happy to be reunited with my camera again after not photographing stuff other than food all winter thanks to the gray light and brown trees and grass. I sort of (usually) dislike photographing food and much prefer landscape/nature photography, so spring did not come soon enough! A few words on our California trip…we will be headed to Northern California, specifically San Francisco, pretty soon. We are so, so excited since we have never been to the west coast before! San Francisco arguably has great food and gorgeous views so we are thrilled about that as well. So our question is, does any reader who has visited or is familiar with the area have any suggestions of restaurants or even places to visit in or just outside the city that are must-go-to spots (other than typical tourist attractions)? If you do, we would be grateful for your advice! We have family living out there, so they’ll be showing us some of the best places, but any suggestions are welcome! We cannot wait to share pictures and talk about some of the places we see/visit upon our return. Reserve 3/4 cup of the mixture for topping the bars. Add the rest of the mixture to the prepared pan and press to form an even layer of crust on the bottom of the pan. Bake 12-15 minutes, until light golden. Let cool 10-15 minutes before continuing. In a medium bowl, combine the eggs, sugar, sour cream, flour, salt, lemon juice and vanilla. Whisk until smooth. Gently stir in the blackberries with a spatula. Spread the filling mixture over the pre-baked crust in the baking pan. Crumble the reserved topping mixture over the filling evenly. Bake until the top is beginning to brown and the bars are just set, about 45 minutes. Let cool completely on a wire rack. Chill to firm up the bars before slicing and serving. Serve either chilled or at room temperature. Enjoy!